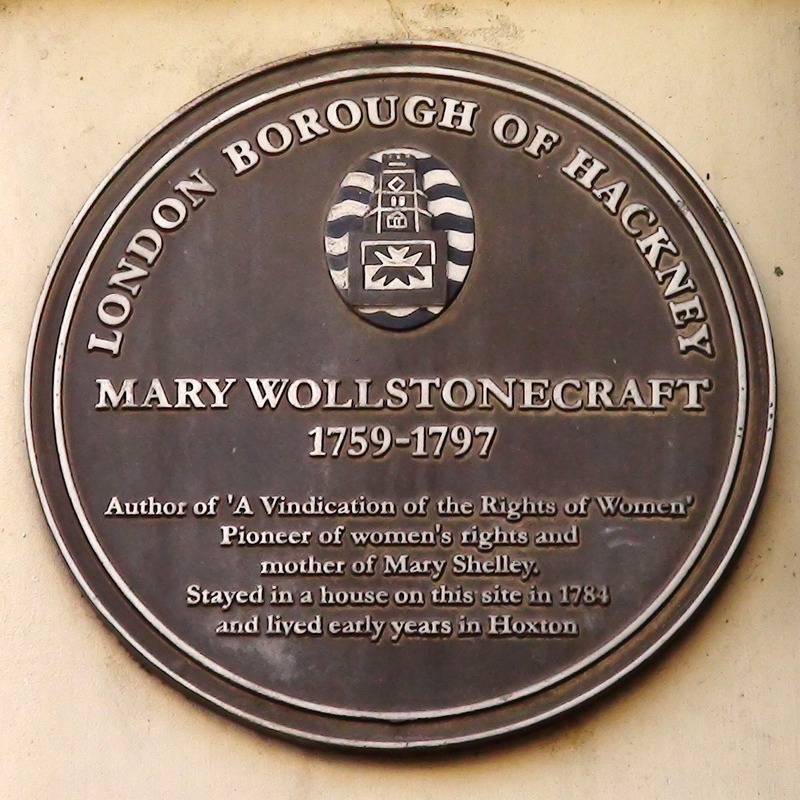 Mary Wollstonecraft, 1759 - 1797, author of 'A Vindication of the Right of Women', pioneer of women's rights and mother of Mary Shelley. 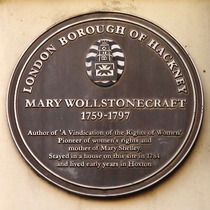 Stayed in a house on this site in 1784 and lived early years in Hoxton. Corporation of the City of London Site of Cooks Hall, destroyed by fire 1771. Booksellers - Marks & Co.